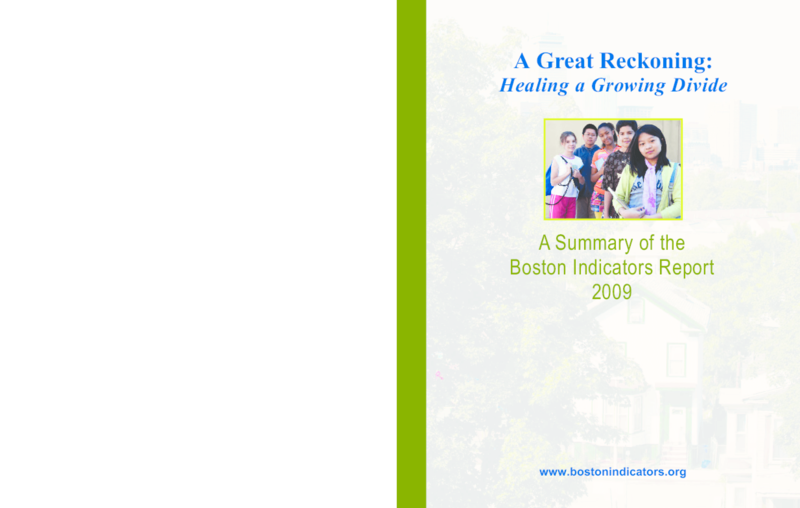 Summarizes the Boston Indicators Project's findings on the city's economic, social, and technological progress in civic vitality, cultural life and the arts, economy, education, environment, health, housing, public safety, technology, and transportation. Copyright 2009 by The Boston Foundation. All rights reserved.